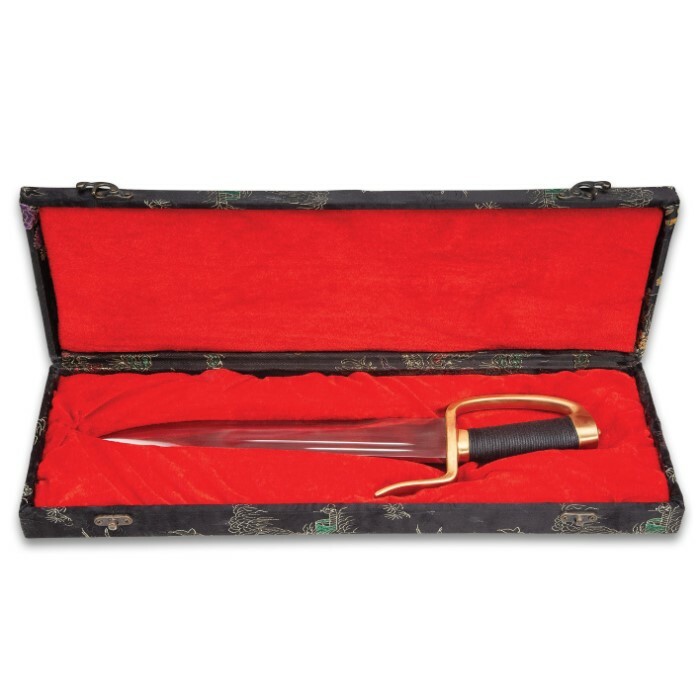 Wing Chun Dao Butterfly Sword With Leather Sheath - 1095 Steel Blade, Brass Crossguard And Handle - Length 20” | BUDK.com - Knives & Swords At The Lowest Prices! The Wing Chun Dao Butterfly Sword is a replica of the single-edged swords originally used in Southern China and in several Chinese martial arts. 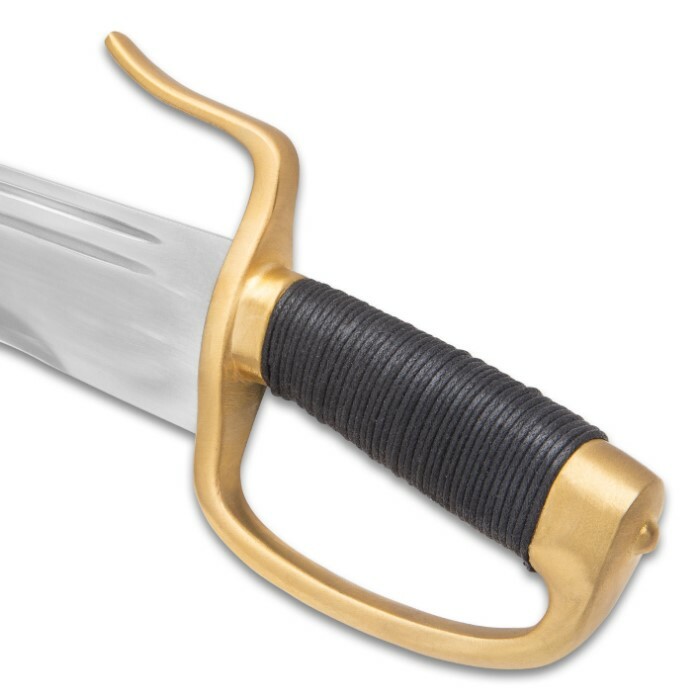 It has a keenly sharp, 15” water tempered, T10 steel blade and a brass crossguard and black, cord-wrapped handle. 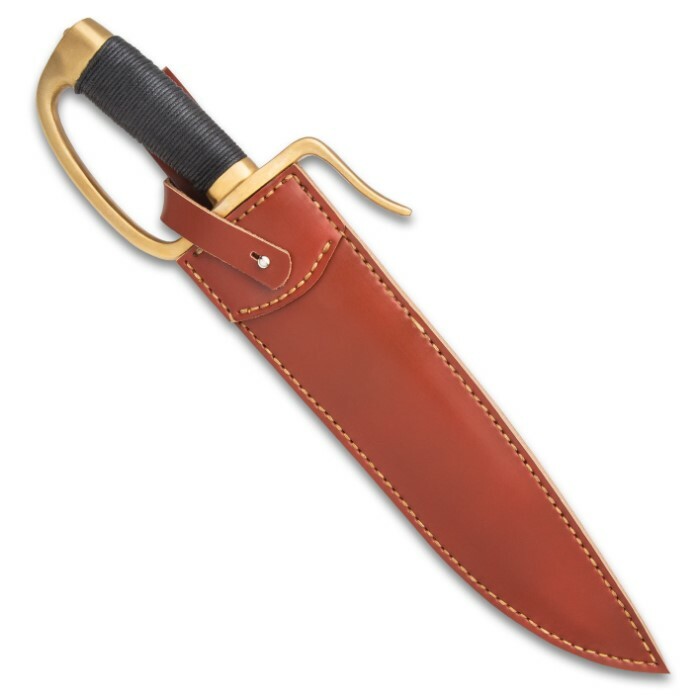 The 20” in overall length sword is housed in a premium, genuine brown leather belt sheath with top-stitching. A decorative velveteen lined gift box is included. 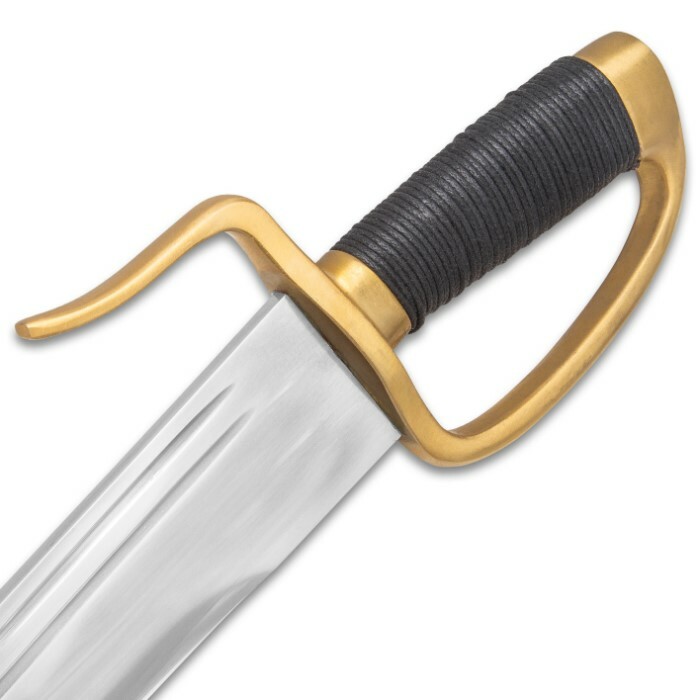 The Wing Chun Dao Butterfly Sword makes a great addition to your historic sword collection. Wing Chun Dao Butterfly Sword: I was quite excited to find and to order this Butterfly Sword. This came in within a week and I was anxious to open up the box to see and experience this highly anticipated sword. First impression: Wow! very nice finish and very nice real leather sheath perfectly fitting. However something did not seem right. 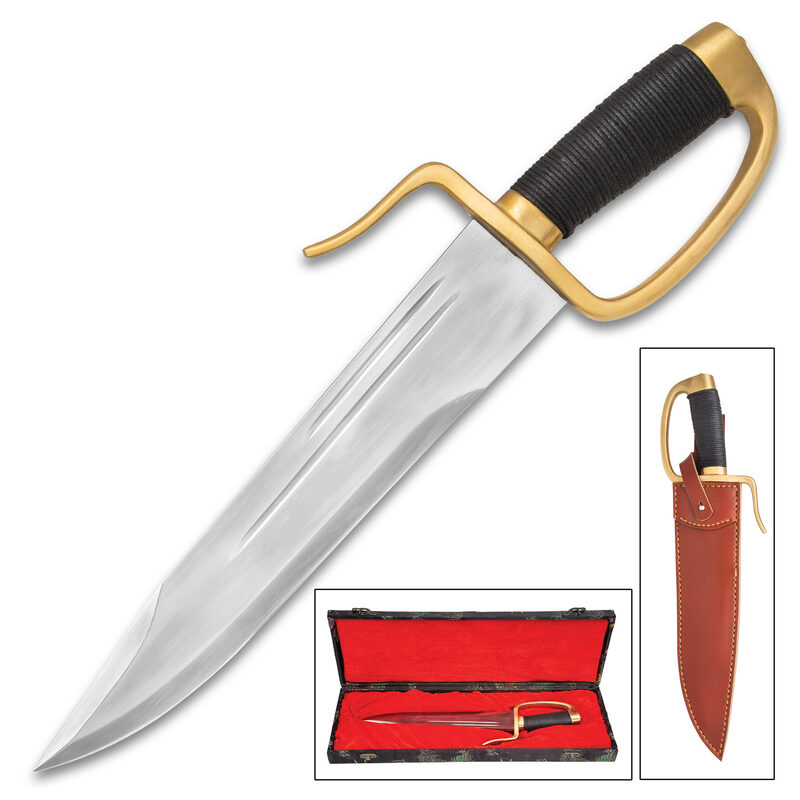 The product description stated a 15 inch blade and overall length of 20 inches with a T10 1095 steel blade. I measured what was delivered and the blade measure about 10-3/4 inch long and 16 inch overall. I was afraid that BudK sent me the wrong blade; one that is too short. The knife blade itself is great, highly polished and nicely sharpened (not razor sharp though). Looking closely, I can make out a faint differential temper line, so that is a good sign. The handle is nicely and tightly installed. The blade fits tightly (not too tightly) into the real leather sheath. This knife deserves a 5 Star rating, however the length of the blade is about 4 inches too short than as described. I will call BudK to inquire what went wrong here? Did they sent me the wrong blade or was the description in their e-catalog a mistake?